VMware is one of the leading virtualization products and solutions providers to the businesses. The demand for IT experts with virtualization skills is increasing day by day. Nowadays many companies are switching to the virtualization to enhance the efficiency of the result. By hiring the virtualization skill expert you can get benefits of saving space, streamline processes and lower price. VMware certified professionals are working in support virtual field, data center, and others. Here we provide more details about the VMware certification program. If you need to gain knowledge of new virtualization technologies then VMware Certification training is the right choice. VMware course allows you to improve skill in the virtualization. This certification validates the knowledge required to deploy, support and also manage support products and solutions of VMware’s. This certification is available in different virtualization areas such as Desktop Virtualization, Datacenter Virtualization, and others. It provides several certifications within every domain according to the technical competencies and skill level of the candidates. This certification can be classified into several categories such as digital workspace, mobility and desktop, cloud management and automation, digital business transformation, data center virtualization, and much more. The exam is a simple way to achieve this certification. The candidates need to pass in the examination to get certification of this program. 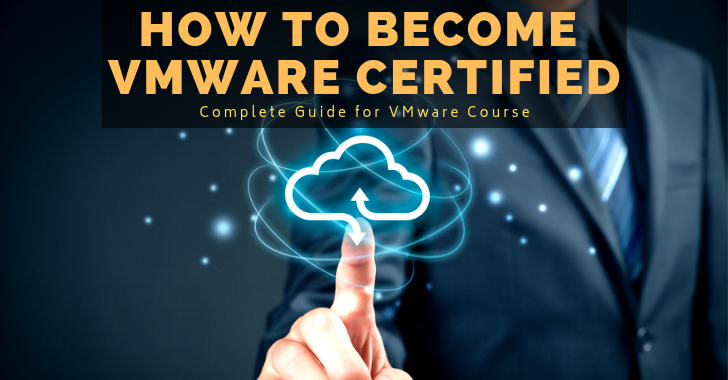 The individuals for advanced professional certification should take the VMware Training program and pass the examination. VMware certification is more valuable that help you to improve a career opportunity. Practice makes the person perfect, so you can learn for the exam and take a good mark. This certification is measured as an intermediate- level certificate. It shows that the candidates have skill in installing, managing as well as deploying the VMware environments. If you decide to do the VMware training program then SSDN Technologies is the best training company for VMware and VMware authorized training center in Gurgaon. Today, you can find a huge range of the training institute offers VMware program. So you need to find reputable training center to complete your certification program. When you are choosing the training institute you should look out important factors such as the experience of a faculty member, license, reputation, course fee, location, students review, and others. These factors help you to select the best institute to learn advanced virtualization technologies. The reputable institute offers first-class training to the students. The experienced experts understand the needs of students and provide the excellent training. This Certification program provides huge options to the candidates when they are selecting the technology areas. The certificate holder can improve career growth as well as flexibility. They have good credibility with colleagues, companies, clients, and others. They increased the VMware program alignment with the valid certification. It sets the high standard for professionals of IT. VMware training program validates the important knowledge companies require to manage the latest technology. The candidates gain depth knowledge of VMware skill in this certification program. Virtualization is a vital skill in the IT industry. There are lots of job openings available in the virtualization. The certified technicians can get a job in the top company. The VMware certifications program creates career opportunities at the top MNC companies in the world. The candidates can receive the VMware invitation to exam, Workstation, access the VCP Stores, discounts to all VMware events and others for free. The consultants can use the logo of VMware Certified Professional on the websites as well as business cards to attract the new clients to their business. This certification helps to improve the salary of candidates.